IBORI: CUSTOM MADE HELL, PFN, ANDRES VIAS BOAS AND ONE OTHER THING | ItuaLive! The beauty of Israel is slain upon your high places: how are the mighty fallen! The above text is culled from the Second book of Samuel in the Bible. It speaks of a people (or person) who had at a time been so mighty and powerful that they became prideful and arrogant and now were humiliated by the Almighty. That can be said to be the case of former Delta State governor, Chief Onanefe James Ibori. A man loved by a few, hated by others, cherished by some and feared by all. In fact, it seems every adjective can be used to describe the ex-governor except honest. Ibori’s integrity has always been in the spot light even from the early days of his administration. James Ibori was accused in 2003 of being an ex-convict but narrowly escaped impeachment. A “curious” judgment was delivered in his favor even when the evidence appeared to be of be of contrary opinion. What is especially worrisome and sickening to me is the realization that if Late President Yar’Adua, Chief Aondoaka and Mrs. Farida Waziri, were still in office, Ibori would be in Nigeria today worshipped by all the prophets of Baal as an elder states man of PDP. It only goes to show that what determines whether a person is punished for sins against humanity in this country is what side of the power block he/she is on and not the rule of law. I have said this over and over again. The law must serve as a deterrent. Judge Christopher Hardy of Southwark Crown Court sentenced Ibori’s wife for five years after considering her plea for mercy to serve as a warning to other governors’ wives. Law should not encourage sin. This way wives may be encouraged to advice their husband’s to tread gently or at least not buy a house in London. But in our dear country the reverse is the case. Everything here is sentiments. Even issues that should not be toyed around with are laden with sentiments. It was reported in some news media that the family of the would-be bomber, Umar Farouk Abdulmutallab, in conjunction with some influential northern leaders are trying to plead with President Jonathan to prevail on the US government to lessen the sentence because no one died. Am still trying to wrap my head around this and hoping for our sakes the report is false. This young man almost ruined the future of unborn Nigerians and people are considering going to beg on his behalf? Do they know the kind of embarrassment his action caused? Even Nobel Laureate was not spared any blemishes when he was made to go through “strenuous” checks at the airport on entering the US. 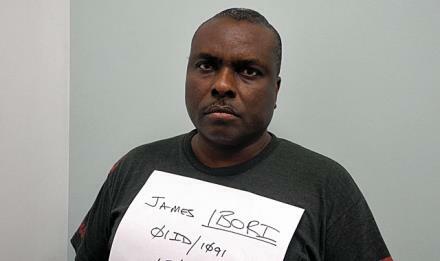 A lot of people are happy Ibori was caught with soiled hands. But I would have been happier if this guilty plea was obtained in Nigeria. It would have done wonders for our justice system and at least brought some form of succor to the injustice being meted out against hard working Nigerians daily. I feel deeply pained when I see able bodied men selling gala or fan milk on the road in an oil producing country. Over educated youths are roaming the streets unemployed. In fact so many people are going abroad to obtain masters degrees they will never utilize because unemployment rate has skyrocketed. Yet one man will cart away over 250 million pounds to fund his profligacy and lust. Almost every day an Okada accident occurs with people dying because the roads are bad. The ones that can be managed have pot holes. Our people are slaughtered yearly because roads that should be dual carriage are so narrow that head on collisions often occur when vehicles try to overtake. Yet monies meant to for development is diverted to buy mansions in Europe for mistresses. I am so convinced that the Nigerian corrupt politician and civil servant will get a custom made, full option hell fire when they die. I can’t fathom a common thief and our potbellied thieves having the same punishment. Too many people have died over the greed of our leaders. Yes, factory fitted, full option hell fire! I know it’s impossible to have a coed prison but I keep imagining Ibori, his wife and his mistress all in the cell room. I may seem funny but it’s a fantasy that may give Hugh Hefner a run for his money. There has been a trade of wars between the Pentecostal Fellowship of Nigeria (PFN) and the Jama’atu Nasril Islam (JNI), the governing body for Muslims in the north over statements credited to the JNI. I support the PFN completely, not only because am a Christian but because the JNI were making unfounded statements that could cause more harm to our collective coexistence. Statements like this: “several reported cases of Christians who disguise as Muslims to burn churches” cannot be farther from the truth. If we all agree that Boko Haram is the problem, why would anyone say a Christian will kill another Christian so that a Muslim will be blamed beggars belief. Virtually every Muslim I know has distanced themselves and Islam from Boko Haram, therefore let’s concentrate our efforts on who the enemy really is-Boko Haram. The JNI also claimed that a “Christian dominated southern media have always demonstrated bias against Islam and Muslims”. This also cannot be the truth. Actually, I think the so called “Christian dominated southern press”, have actually been too balanced. If they had anything against Muslims, it wouldn’t be the JNI that would tell us. Virtually, every print and electronic media house have been professional in the way they have reported acts of terrorism carried out by Boko Haram. By far the most disturbing point they made read: We want to remind all Christian zealots in Nigeria, that our love for peace must not be mistaken as a license to make us second class citizens in a country where we constitute a majority”. The PFN wrote a perfect rejoinder that I hope the JNI got the message. 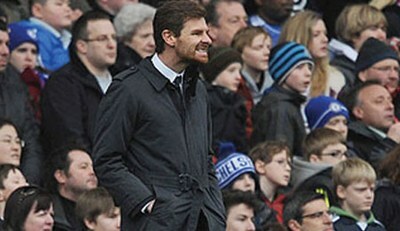 It is the end of the road for Chelsea manager, Andres Villas Boas. The hammer has slung once more and Chelsea find themselves in need of someone to fill the big shoes left by Jose Mourinho. The 34-year-old Portuguese is the sixth manager to be sacked by Chelsea’s Russian billionaire owner Roman Abramovich. Since he took control only Guus Hiddink, who was an interim appointment, left of his own volition. It appeared the “senior players” didn’t want him and they forced him out. I kind of liked AVB as he was popularly called. Well not exactly because he was a good coach, but his continual stay at Chelsea (especially with the rebellion rumored in the dressing room) guaranteed their underperformance which would help Arsenal better them this season. Don’t blame me; Manchester United and Manchester City are in a world of their own. I don’t fancy Tottenham dropping too many points. Arsenal and Chelsea have both been inconsistent and if anyone of them deserves the final Champions league spot, it ought to be Arsenal. Yes, Vantastic. That was what I screamed after Van Persie scored that screamer against Liverpool over the weekend. The man is simply outstanding this season. This season has been one of ups and downs but Van Persie’s performance all through as been phenomenal. I hope he stays at Arsenal but if he leaves in the summer, I won’t blame him. He is simply too hot to handle at the moment. Yeah, i agree with you on that one…..Van Persie is just too hot!!!!!!!! Personally i don't think he's gonna stay beyond the end of this season.